China has issued a new climate plan targeting an 18% cut in carbon emissions by 2020 compared with 2015 levels as the Paris Agreement of nearly 200 countries took effect. Under the new State Council plan, coal consumption must be capped at about 4.2 billion tons in 2020 while non-fossil fuel energy generation capacity like hydropower and nuclear power are expanded to 15% share of China’s total capacity. China has taken a leading role in climate change talks and its collaboration with the United States has been touted by Washington and Beijing as a bright spot in an otherwise strained relationship. China will guarantee that emissions peak no later than 2030 under the Paris pact. There are also plans to officially launch a national carbon trading market next year. In recent years China has become a world leader in renewable energy investment and installation of new wind and solar power capacity, but efforts by the government to break away from coal consumption have been frustrating at times. Even after Beijing declared a “war on pollution”, hundreds of new coal power plants were approved for construction in 2015 by regional authorities keen to buoy their economies. Central economic planners earlier this year declared a halt on new approvals for coal plants and energy chiefs went a step further last month when they declared a building freeze on scores of partially-built plants across more than a dozen provinces, garnering praise from environmental groups like Greenpeace. 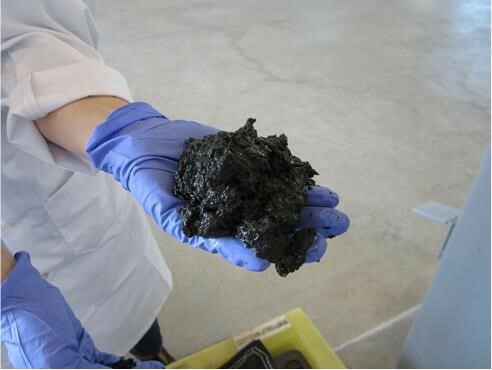 Sludge from Metro Vancouver’s wastewater treatment plant has been dewatered prior to conversion to biocrude oil at Pacific Northwest National Laboratory. 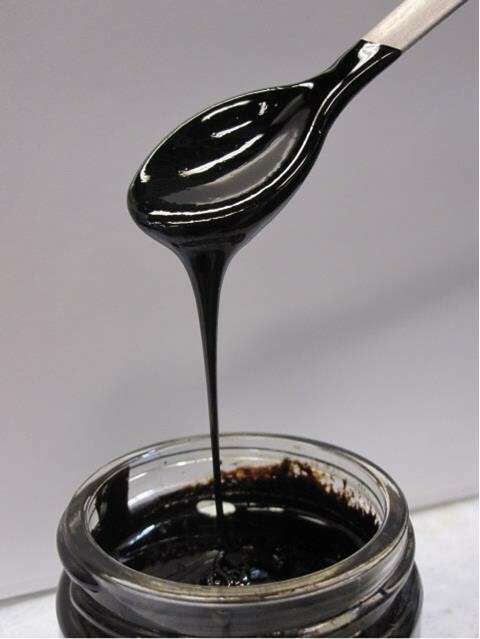 Biocrude oil, produced from wastewater treatment plant sludge, looks and performs virtually like fossil petroleum. RICHLAND, Wash. – It may sound like science fiction, but wastewater treatment plants across the United States may one day turn ordinary sewage into biocrude oil, thanks to new research at the Department of Energy’s Pacific Northwest national Laboratory. The technology, hydrothermal liquefaction, mimics the geological conditions the Earth uses to create crude oil, using high pressure and temperature to achieve in minutes something that takes Mother Nature millions of years. The resulting material is similar to petroleum pumped out of the ground, with a small amount of water and oxygen mixed in. This biocrude can then be refined using conventional petroleum refining operations. What we flush can be converted into a biocrude oil with properties very similar to fossil fuels. PNNL researchers have worked out a process that does not require that sewage be dried before transforming it under heat and pressure to biocrude. Metro Vancouver in Canada hopes to build a demonstration plant. An independent assessment for the Water Environment & Reuse Foundation calls HTL a highly disruptive technology that has potential for treating wastewater solids. 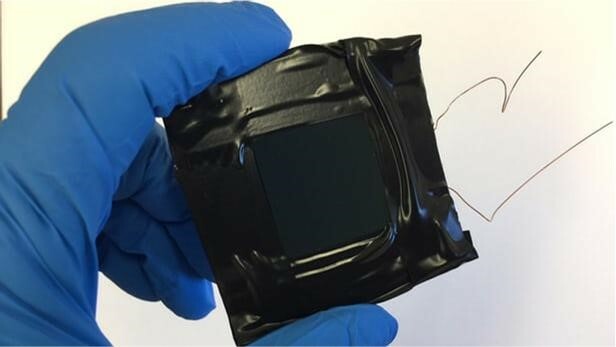 WE&RF investigators noted the process has high carbon conversion efficiency with nearly 60 percent of available carbon in primary sludge becoming bio-crude. The report calls for further demonstration, which may soon be in the works. Development of the HTL process was funded by DOE’s Bioenergy Technologies Office. The amount of carbon needed to power the global economy fell to record lows in 2015, as coal consumption in major economies plummeted. PricewaterhouseCoopers’ (PwC) annual Low Carbon Economy Index report has found that the global carbon intensity (emissions per unit of GDP) fell by 2.8%. This was more than double the average fall of 1.3% between 2000 and 2014, but far below the 6.5% required to stay within the 2C warming limit set by last year’s Paris agreement. “What we’ve seen in 2014-15 is a real step change in decarbonisation,” said Jonathan Grant, PwC director of sustainability and climate change. The result was just 0.1% lower than the previous year, but it occurred against the background of healthy growth, which usually spurs carbon emissions growth. “There was fairly reasonable economic growth in 2015, which is why we think this result is quite significant,” said Grant. The biggest driver was a decline in China’s coal consumption, which resulted a 6.4% drop the carbon intensity of the world’s second biggest economy. A centrally-led shift of the economy to a service-based industry has begun to shut down the vast coal-fuelled steel and cement sectors. For the first time, China led the rankings table for the biggest drop in intensity. The UK and US were also significant contributors, reducing by 6% and 4.7% respectively, to the overall drop as both governments introduced policies that pushed coal plants out of business. In the UK coal use dropped by 20% for the second year running. Richard Black, director of the Energy and Climate Intelligence Unit (ECIU), said: “In the week in which the Paris Agreement comes into force, this is very promising news in showing that the dominant paradigm of economic growth is swiftly changing, which makes the Paris targets look more achievable. But Grant said coal represented the low-hanging fruit and that economies were enjoying the benefits of relatively painless early decarbonisation. “Countries are focussing on decarbonising electricity. That means tackling coal power. I think it will get increasingly challenging. Coal is the easiest target for government policy,” he said.